Explanation: Space shuttle Endeavour is home to stay. 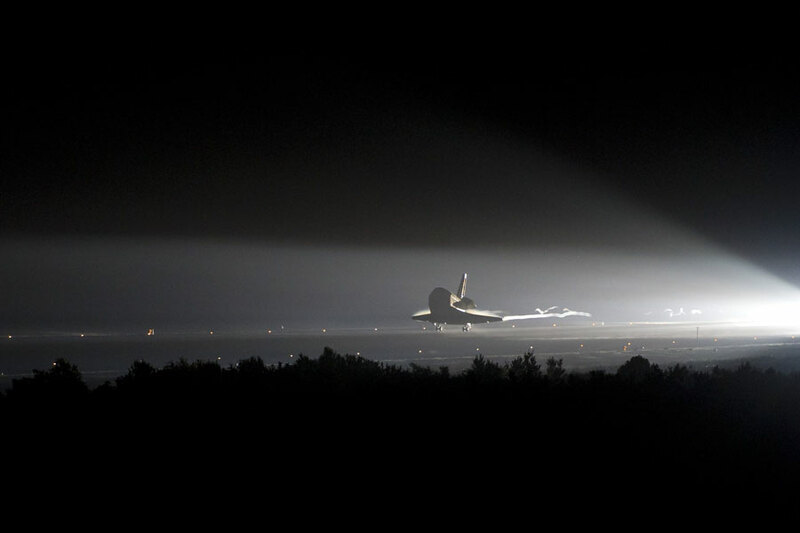 In a rare night landing last week, Endeavour glided onto a runway in Cape Canaveral, Florida, USA completing a 16-day mission that included a visit to the International Space Station (ISS). All told, space shuttle Endeavour flew 25 flights since being deployed by NASA in 1992, spending a total of 299 days in space. Endeavour's next mission will be a stationary one in the California Science Center. Even as Endeavour was landing, the space shuttle Atlantis was being rolled out in preparation for the last mission of any Space Shuttle, a mission currently scheduled to begin on July 8.